SOUTHERN DUNKERRONS: There is a narrow neck of land between the two lakes , Lough Namona and Cloonaghlin Lough, shown on the attached map. I'm sure the ground is very boggy. 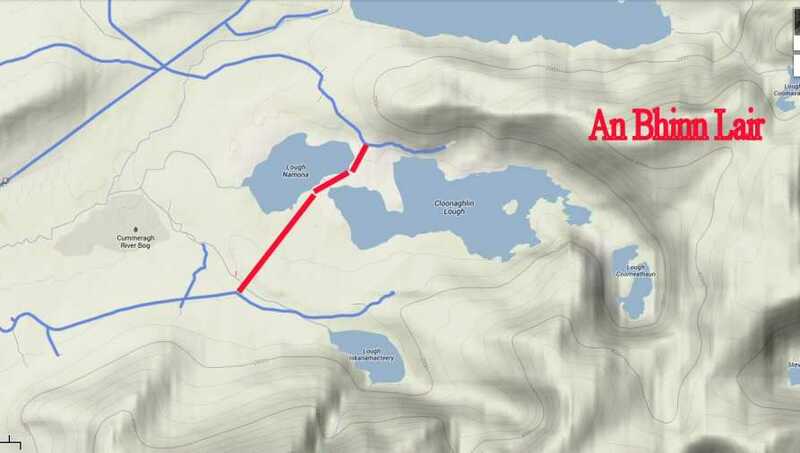 Here's the question: has anyone ever walked between the two lakes along the red line shown on the map? Can it be done? What size of river connects the two lakes? I look forward to hearing from any of you who have been in the area.